Making your own scented candles is a rewarding hobby or business venture. 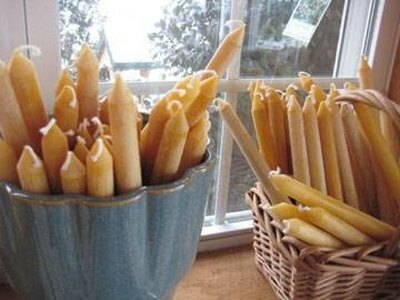 Candles can be made out of paraffin, soy or beeswax and can be scented using essential oils. It can be tricky knowing how to combine the scents correctly, but once you find a scent that smells wonderful your customers and friends will want to buy all your candles. Certain scent combinations can create emotional responses, which can be beneficial to helping your customers or friends in their daily lives. Here is a guide to help you create custom fragrances for your candles. Create the scent "Abundance." Scent combinations that contain the essential oils lemon balm, clove and citronella are used in aromatherapy to help increase abundance in a person's life. To combine these essential oils for candles, mix four drops of each scent into the hot wax before dipping or pouring your candles. See the Resources section below for a link to buy essential oils. Create the scent "Peace." In aromatherapy, combining the essential oils rose, peppermint and honeysuckle can help instill peace in a person's life. 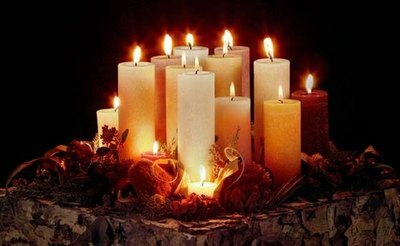 To use in candle making, mix three drops of peppermint and honeysuckle, and four drops of rose essential oil into the hot wax before making your candles. Create "Strength" candles. By combining the essential oils fir, patchouli and juniper, candles can be made for aromatherapy to boost strength and confidence. 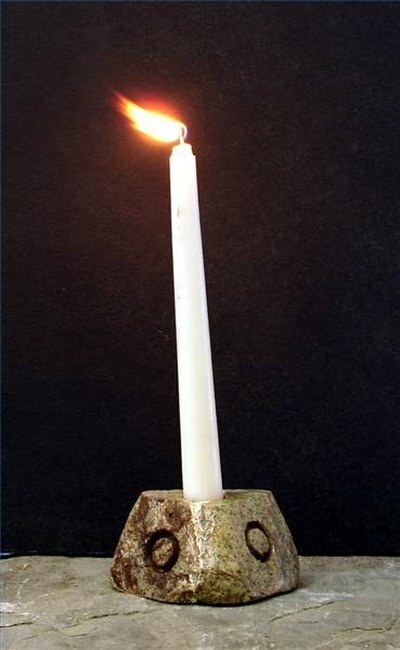 Mix only two drops of each essential oil into your hot wax before pouring or dipping your candles. Create scent combinations that promote relaxation. Certain essential oils, such as lavender, ylang ylang and neroli, can promote deep relaxation of the muscles in the body and can help a person sleep at night. To use in candles, drop in four drops of each of the essential oils into the wax before making your candles. For more essential oil recipes, see the Resources section below. Keep all children away from flames, essential oils and hot wax.